Watch your back or Pac will attack, you don't want that! 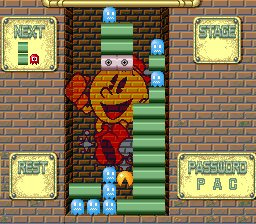 Pac-Man makes a rare appearance outside of a maze environment in Pac-Attack, a fun and quirky puzzle game! This unique entry in the genre puts its own twist on established conventions and adds one of gaming's most iconic characters to the mix. 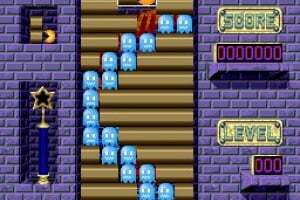 The goal is simple: keep your screen clear of falling blocks and ghosts by lining up blocks horizontally, causing them to disappear. 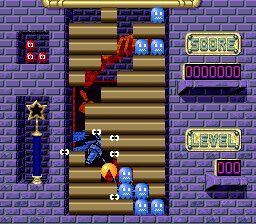 Clearing the ghosts, though, requires the help of a hungry Pac-Man (who just happens to swing by every so often for a snack). 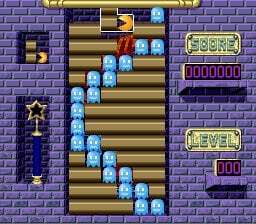 It's up to you to get all of the ghosts lined up for him, because Pac-Man will keep eating them until he is stopped by a block or he runs out of ghosts. In addition, his range of movement on the playing field is limited to horizontal or downward - thus adding further strategy. There are three game modes to choose from: 1 Player Normal, 2 Player VS., and the challenging 1 Player Puzzle. Feel like gobbling up some ghosts? Wow! 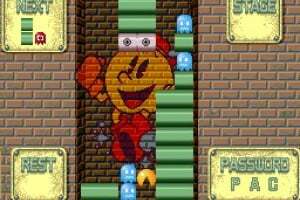 That came out of nowhere, I have Pac-Attack on Namco Museum and its a pretty cool game. I'd say its worth 800. Finally another good falling-blocks-puzzler! The VC definitely hasn't got even nearly enough of them. It's pretty addictive, although maybe not as much as Tetris Attack and Dr. Mario (ond Tetris & Dr. Mario), but still a very nice addition. 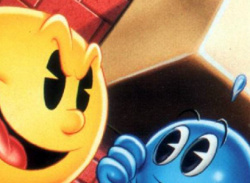 Actually Pac-Man meets Cosmo Gang. I didn't think it was that great - the ghosts really get in the way of clearing blocks away. And its easy to mess up trying to get rid of the ghosts. Cleopatra Fortune is a similar but much more fun game. IMO. 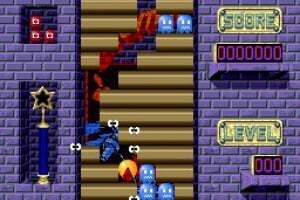 + Ms. Pac-Man (not available on VC). Besides of the main adventure I liked Pac-Attack the most, because it's a unique puzzle game. and you have one big game + four classics for about ten bucks instead of one classic for 8 bucks. 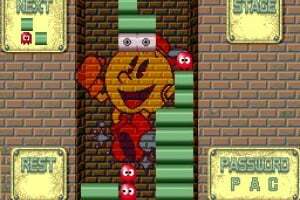 (Yeah, you have to unlock them in Pac-Man World 2 but Pac-Man and Pac-Attack are very easy to unlock). 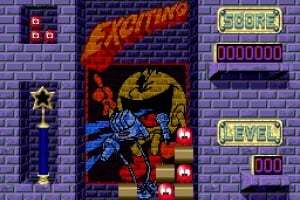 I'd try to get Pac-Man World 2. I did the exact same thing as SKKTR a few years ago! 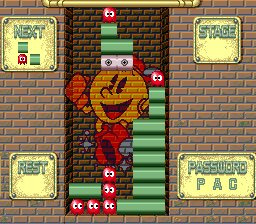 Pac-man World 2 was an awesome game! If Wii Shop had Gamecube games available for download and it had PMW2 as a choice, i'd get it big time! Oh and guess what (unrelated again)! Hey Dazza, this may seem surprising, but i think i found one of your miis in the Check Mii Out Channel! Did you have a Mr. T mii? I was completely unaware this game existed until recently. So, I downloaded it. It is pretty fun. I never had a change to play Dr. Mario when I was young either, I always had a limited budget (what ever I could save up from mowing and stuff) and there was always something else I wanted.. No one that I hung out with ever had it either. So, I'm looking forward to playing it someday! Is this coming to EU? could do any time. next week or next year. nobody knows. But on TV, you can play multiplayer! 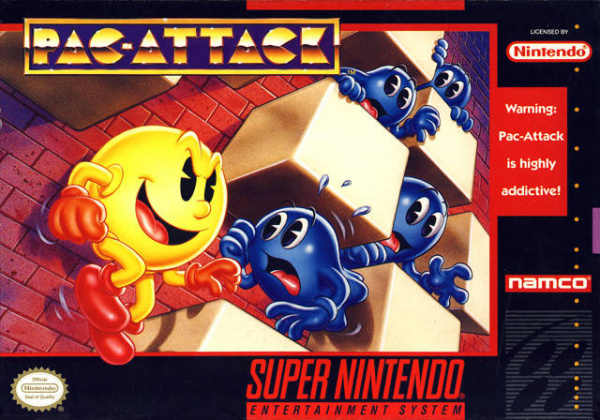 I played this game on Pacman World 2, on pacman collection for GBA, and also on that old GBC Pac-Man port back when I was a kid. It's a decently fun puzzle game, but not worth 800 points. Just get one of those games I previously mentioned. Boredom v2.2, what's the point in having gamecube games for download if the wii is backwards compatible w/ GC games? Just look for PMW 2 at a trading store somewhere. The price point is an interesting one - since the game is a puzzler, it's pretty timeless, and could've perfectly well have been released today for the price of a full game. However, that's not the case, and the game can be found on several collections that can probably be found for the same price Nintendo asks for this VC game if you scour a used game store, should you happen to have one nearby (no, that's not the case wit heveryone, particularly outside the US). Are we paying for entertainment value (it's fun), age-based assumed value (it's old, and thus apparantly not worth as much), or monetary value (it can be purchased for less if you happen to stumble across it in certain other forms)? A pretty cool puzzler, I felt. If you like Tetris, you'll like this. The 100 level puzzle mode is definatelly the best mode in the game, I liked it better then the main game personally. The main game is nice to, don't get me wrong. Oh, wait. 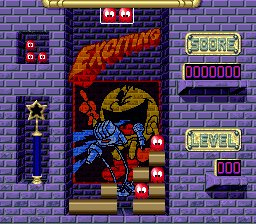 I have a version of this for free on Pac-Man World 2, which was free with Pac-Man Vs, and I'm free to think that it's not very fun, so I spend my free credits on Pac-Man and Ms. Pac-Man instead. A must have if you've never played this before! I'm not getting this since i have the genesis version. A must have if you like puzzle games.